Paris — More and more there is a give and take between the home and apparel fashion worlds. Like design and innovation have formed a bond, so are decorations for bodies and homes. Trendease has been experiencing a surge of trade asking for expertise on the phenomenon. Jennifer expresses her thoughts on the new issue and looks at Baccarat rocking the retail boat. Worldwide — There was a time when it was cool to paint the walls over hiding them behind paper. Wallpaper was old and stodgy, but all of that has changed. Today not only is there trendy wallpaper, there are trendy wall coverings. The term ‘paper’ does not encompass the spectrum of material one finds decorating the contemporary wall. Trendease reports on the best cover ups. Worldwide — The recent string of tradeshows had us looking at many textile categories. And folks, there are some movers and shakers in the towel department! Not only is it about the details going in to the products, but lines between design for the bathroom and the sandy beaches are blurring. Whether people are hitting the showers or the beach, there will be plenty to choose from the latest collections. Bathing and beach beauties have no fear, you can dry in style. Multiple European Cities — There is good news for companies working with children’s furnishings. The category has increased its turnover and its profits. While it is no surprise that children like to voyage to the world of the imaginary, many signs point to adults wanting to do the same—here is an opportunity. This feature explores the market and key points parents look at while buying and is supported by over 70 images of new furnishings. Paris — This season’s PRÊT À PORTER PARIS was full of art and expression – a mixture of simplicity, extravagance, sensuality, and elegance. Influenced by various artistic movements and styles, the upcoming season’s trends represent various universes, from a Byzantine Code influenced by Gustav Klimt’s Baroque style, to a form of repressed passion namely Poetic Ethic, and finally a Minimal Minimum approach which is influenced by Arne Jacobsen’s well-groomed designs. 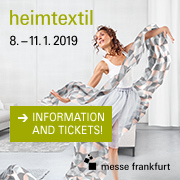 Paris — Expofil opened its doors to an international attendance February 21-24 of this year, showcasing the latest offers in yarns and fibers for 2007/08, specializing in flat-bed knitting, weaving, circular knitting, hosiery, hand-knitting yarns, furnishings and technical uses. This recap reviews some of the new products, buzzwords, and colors that textile gurus (and wannabes) need to know. Multiple European Cities — The Trendease Team is learning that there is more than meets the eye. As it has been pointed out many times before, we are living smack dab in the middle of the Information Age. People have been so surrounded by technology that many are getting sick of looking at it. And manufacturers have been complying. Worldwide — Once again, this international up-and-coming talent competition in Cologne turned heads for the third consecutive year. 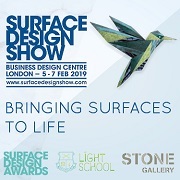 Some of the world’s most promising talent submitted their new designs under the categories of furniture, lighting, carpeting, textiles, wallpaper and other home furnishings/fittings in hope of being able to display their prototypes at one of the most trafficked furnishing shows globally. The best of the best is here! Valencia — Seaside, amidst the warmth and sensual pleasures associated with the Mediterranean lays a hidden treasure of design and earthly goodness—100% recycled glass with designer flare. Some of the most commercially viable and eco-design friendly dinnerware and home accessories are found at La Mediterránea. Trendease takes a look at how both the business and the products share sustainability. Worldwide — Cotton Inc. has shared their color and surface forecasts they have researched for apparel fall/winter 2007/2008. Subscribers are welcome to analyze the colors stemming from foliage and evergreens while reading the new surface buzzwords. This color story is complemented with the closest available Pantone color references. Worldwide — Cotton Inc. has shared their color and surface forecasts they have researched for apparel fall/winter 2007/2008. Subscribers are welcome to analyze the colors stemming from craftsmanship and the skills of tradesmen while reading the new surface buzzwords. This color story is complemented with the closest available Pantone color references. Worldwide — Cotton Inc. has shared their color and surface forecasts they have researched for apparel fall/winter 2007/2008. Subscribers are welcome to analyze the colors of chaos and beauty while reading the new surface buzzwords. This color story is complemented with the closest available Pantone color references. Worldwide — Cotton Inc. has shared their color and surface forecasts they have researched for apparel fall/winter 2007/2008. Subscribers are welcome to analyze the colors of versatile tones while reading the new surface buzzwords. This color story is complemented with the closest available Pantone color references. Worldwide — Cotton Inc. has shared their color and surface forecasts they have researched for apparel fall/winter 2007/2008. Subscribers are welcome to analyze the colors of the luxury of the natural while reading the new surface buzzwords. This color story is complemented with the closest available Pantone color references. Worldwide — Cotton Inc. has shared their color and surface forecasts they have researched for apparel fall/winter 2007/2008. Subscribers are welcome to analyze the colors of heroic exploits while reading the new surface buzzwords. This color story is complemented with the closest available Pantone color references. Paris — Le Cuir à Paris is the event to pre-select materials such as leather, fur, textiles for accessories and components. Attendees comprise a body of manufacturers, buyers and stylists of shoes, leather goods, garments, fashion accessories, furnishings, and automotive supplies. This gallery explores one of the trend directions presented at the event and includes a color mood with Pantone references, buzzwords, materials and surface effects. Paris — Last week at Indigo, where design studios showed their offer of new designs, embroideries and appliqués, knits, fabrics, vintage, transfer paper, and archives, fashion director Sylvie Tastemain created an impressive visual forum. This week’s gallery is brought to you because of the unique way in which the design studios’ art was presented. This creative audiovisual experience is a visual inspiration of graphic expression. Paris — Le Cuir à Paris is the event to pre-select materials such as leather, fur, textiles for accessories, and components. Attendees comprise a body of manufacturers, buyers and stylists of shoes, leather goods, garments, fashion accessories, furnishings, and automotive supplies. The newest four Trendease galleries explore the trend direction presented at the event for S/S 07. This week’s tidbits are not to be missed either! Cebu — Greetings from the (extremely) warm island of Cebu, in the Philippines, from a presentation tour meeting with various local trade associations throughout the country. This week’s gallery is a cultural glimpse from Cebu with a few architectural images and photos of the local dancers that entertained guests at this evening’s dinner plus don’t miss out on local tidbits. Manila — Mabuhay from Manila where this leg of the presentations in the Philippines is coming to a close. And what a trip it has been. We have seen the origin of some of wonderful products of retail and design greats such as Crate & Barrel and Roche Bobois, learned about local cultures, and discovered materials which we never knew existed. This week’s gallery opens up that material world. And there is more to come in next week’s new issue reviewing products from the National Trade Fair we attended. Also read up on the latest tidbits. Milan — This week’s gallery is all about the new values of water. Maybe you may have noticed how bottles of water have had a fashionable makeover? Italian designers (and international designers living in Italy) will be exhibiting “www: wonderful water world” during next week’s International Salone del Mobile. The creative challenge is to re-interpret water in the context of the new dining culture at home, in a restaurant or “on the go”. See it and read about it here.